Over the past few months we have been talking about the power of defense mechanisms. It is unfortunately common to employ defense mechanisms that actually enhance your own emotional suffering. And of course, what we want you to employ are resources that help you recover not defense mechanisms that keep you stuck. You have suffered enough from the pathological love relationship and the last thing you need is for your own psychology to be working against you. So today we’re going to talk about ‘fantasy’ and how that too can effect your emotional suffering. Women who are in relationships with pathologicals have a very strong trait of ‘fantasy.’ Fantasy is not just merely wishful thinking but has additional components in it that effect your here and now life. Fantasy is often associated with the future and in some ways, the past. Here’s how… women often stay in pathological relationships because they feel panic or fear of abandonment when the pathological tries to end the relationship. She ends up re-contacting or allowing re-contact because of these feelings of fear/panic/abandonment. Abandonment is an early childhood feeling. As adults, we don’t technically feel ‘abandoned’ although that’s the feeling state we think we are having when someone leaves us. The adult feeling state is loss, not abandonment but when someone has unresolved early childhood abandonment issues, any loss will template it self on top of the feelings of abandonment. Adults are techincally incapable of being abandoned (unless you are, for instance, medically dependent.) The reason we aren’t capable of being abandoned as adults is that as mentally healthy adults, we really can’t be abandoned in the childhood sense. The feeling is an early childhood feeling usually associated with a time of parental abandonment. It is an age-regression feeling–something that pulls you back to your childhood or a very young emotional state. Every time I write about abandonment I will get a furious letter from someone INSISTING they are adults and they feel abandoned. There are two categories in which adults go through intense feelings of child-like abandonment. One is if the adult has a trauma disorder and has unresolved early childhood issues from parental abandonment that have not been treated in therapy. In that case, those feelings often resurface attached to unprocessed traumatic feelings. 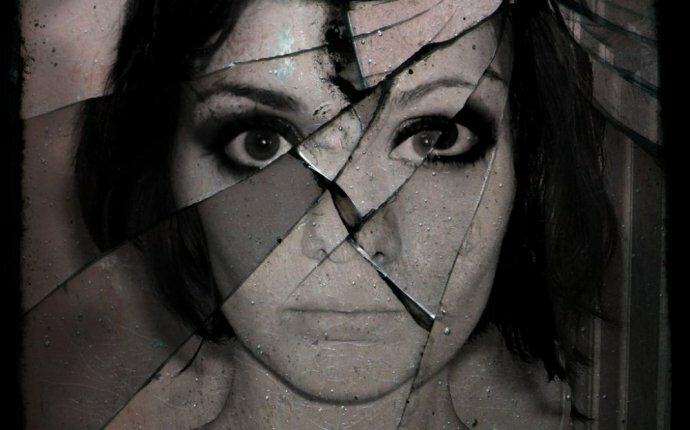 The other intense abandonment feeings are often held by people with Borderline Personality Disorder who regularly feel abandoned.’ I still maintain as a former psychotherapist, that are adults cannot be abandoned unless you are elderly, medically need care, or have cognitive disorders that require caretaking. This is not to say you don’t PERCEIVE yourself as abandoned. But if you were dropped in the middle of a city ‘abandoned’ you would make your way to the police department or social services and would be fed, sheltered, and given provisions. Therefore, you were not abandoned the way a child would experience if dropped in the middle of a city. The feeling of ‘ending’ a relationship often subconsciously sets off childhood feelings of abandonment. These are past associations that taps into fantasy that it is happening all over again when it really isn’t. The previous male in your life who did abandon you as a child (for instance) is not the same thing as a pathological leaving your adult life. But inside, emotionally, the child feeling state is so strong that it feels like a ‘hole in the soul.’ The fantasy of THIS (him leaving) being the same as THAT (my parent left me) takes hold and your panic makes you go back to stop the panic or allow him back in to squelch the sense of abandonment. Fantasy is also future oriented. Fairytales are fantasy based on “Once upon a time….and happily ever after” which is all the good stuff that ‘might’ happen in the future. Nothing evokes stronger fantasy thinking than the holidays which bring up either good memories of holidays past or, the total fantasy that THIS year will be the ‘Once upon a time’ holiday. Women stay in relationships with pathologicals based on a lot of ‘fantasy future betting’ — that is ‘he might stop acting pathological, ‘he might stop cheating, ’ ‘he might tell the truth.’Fantasy betting is a lot like gambling…betting on a future that is not likely to happen with a pathological. Betting on a Normal Rockwell holiday…oh I meant ‘Norman Rockwell’ holiday—is fantasy betting as well. Why? Because pathology is the inability to change and sustain consistent postive change, grow in any meaningful way, and the inability to for him to see how his behavior negatively effects others. Pathology Effects EVERYONE the SAME!! (Unless she’s pathological as well–then who cares if he goes on to have a relationship worthy of a Jerry Springer Show?). * Women fantasize that this ‘abandonment’ feeling will effect her the way the childhood abandonment did. (And it will not–just as an FYI for you). * Women fantasize that he will be different with them. If he is trully pathological he is hard-wired. This IS his DNA. * Women fantazie that he will be happy in the future and she is missing out on something. If he is truly pathological, his patterns don’t change. Now stand back, step out of the childhood feelings, and look at the list with adult eyes. You can’t be abandoned as an adult because where ever you go, there you are and you are all you need as an adult. You don’t have dependency needs as an adult like you did as a child. To be abandoned is to be dependent on the one who is abandoning. Adults are not dependent. There is stil time to straighten out your Holiday Fantasy Thinking before December 24th. Get a hold of it so you can enjoy a pathology-free holiday.